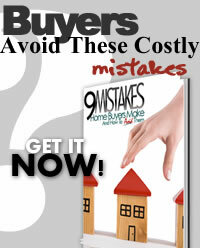 Don't waste another year renting. Gain $79,000 in equity instead! Pride in owning: Most people buy a home to have control over where they live. Although investment features are important, the psychological reasons for buying – the satisfaction of owning and freedom from paying rent – are at least as important. Dislike paying rent: Almost equal portions of owners and renters – close to 7 in 10 – said a dislike of paying rent was an important reason to buy. Renting offers a lifestyle that’s nearly maintenance free. While that may appeal to you, consider that renting offers you no equity, no tax benefit, and no protection against regular rent increases. Writing a rent check is just like watching your hard-earned money sail away! Settling down: More than 6 in 10 renters said “settling down” was an important reason to buy. Good investment: 76% of owners and 69% of renters said the investment aspect of ownership was important. Tax advantages: Property taxes and qualified home interests are deductible on Schedule A; itemized deductions on your tax returns are a huge benefit that will save you money. Long-term appreciation: People consider home ownership a good investment because they view it as a long-term venture. Historically, home prices have risen at relatively steady rates. 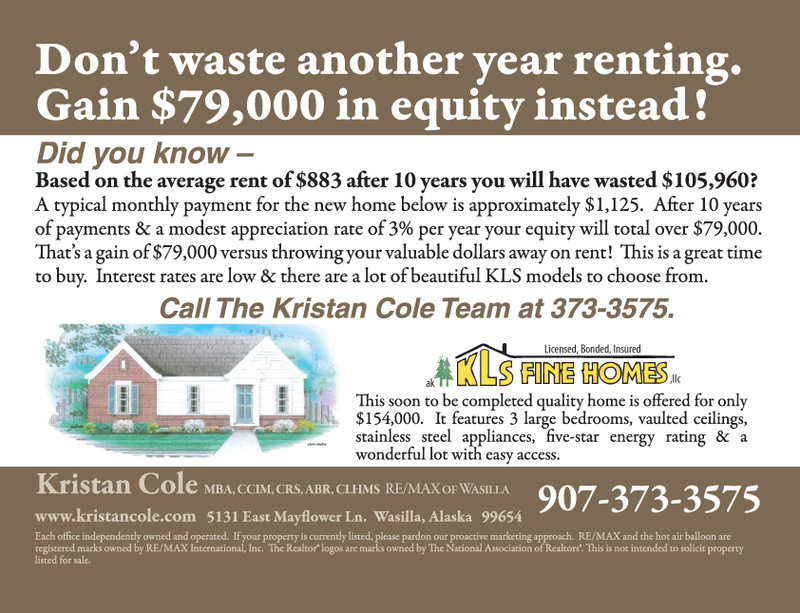 The rates here in the Mat-Su Valley increase between 3-6% per year on average. Source of savings: Home ownership always has and continues to comprise the single largest source of savings for American households. 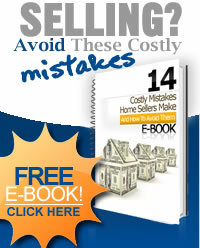 Homeowners build equity and can borrow against it. Sacrifices are worth it: Almost 7 in 10 renters in the National Association of Realtors home ownership survey said they planned to buy a home in the future. More than three-quarters of these people said they were willing to sacrifice to do that.